What Is The New Cube V4? 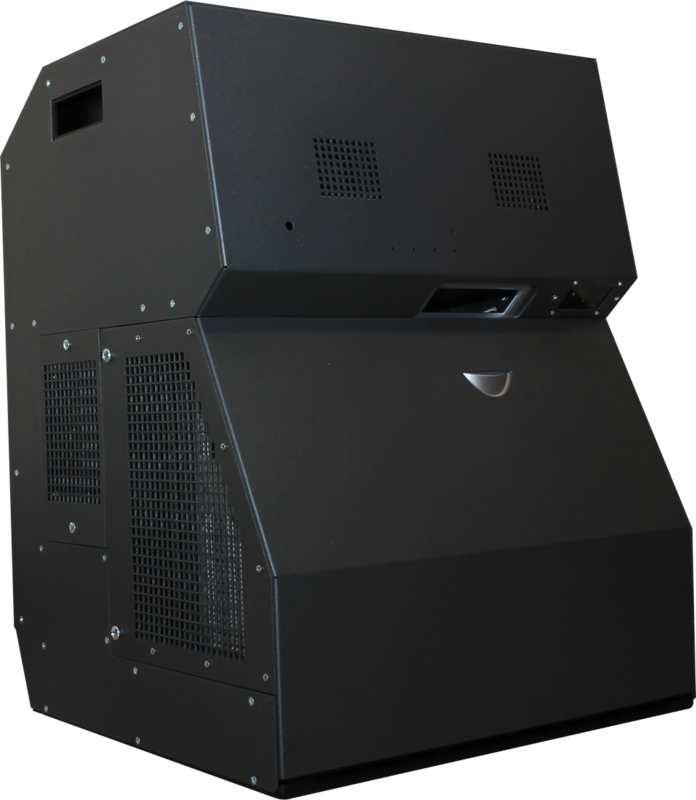 After much success GestureTek is proud to present the new upgraded V4 version of The Cube. 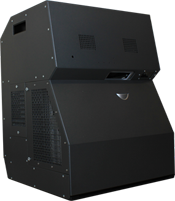 The CUBE V4 is a compact, turnkey, ‘plug and play’ interactive display unit that brings the power of gesture control to a variety of display spaces. 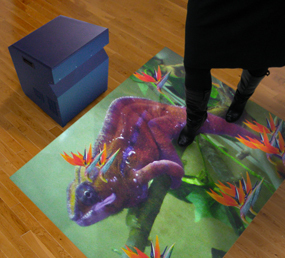 The portable Cube interactive projection floor has been taking retailers, advertisers and exhibit designers by storm! 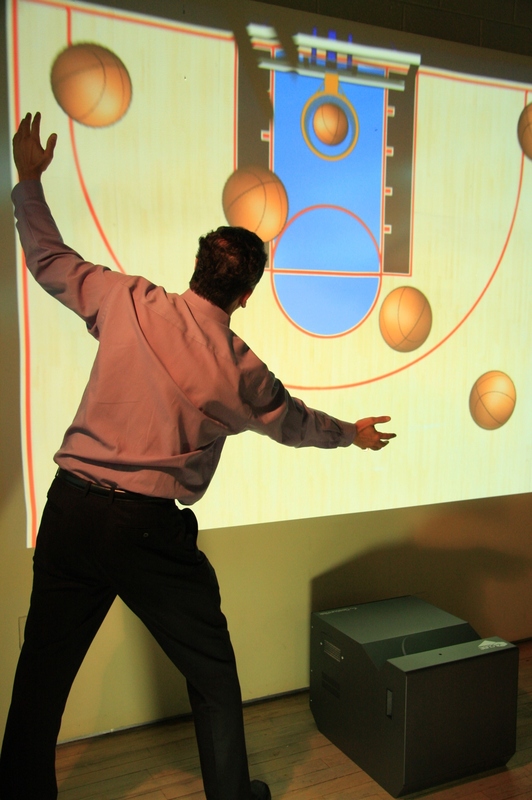 It now project a larger, higher resolution engaging 7’ x 5’ interactive display with entertaining games and head-turning special effects onto virtually any floor for branding, advertising, entertainment and product promotion. 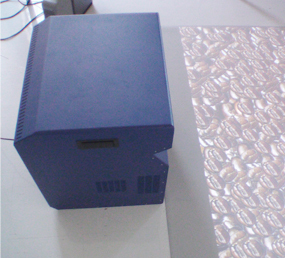 The NEW CUBE V4 now comes with a higher 1280 x 800 resolution projector, which can run in either a 16:10, or in the original 4:3 aspect ratio. Just take it out of the box and turn it on! No technician is required to install it and it occupies minimal floor space. Even with all these new features, GestureTek has been able to reduce the price of the CUBE. The Cube can engage customers, command attention, increase visitor traffic, drive sales and create a more dynamic customer experience. One North American retail chain installed several hundred Cubes as digital playgrounds, after early results suggested a sales increase in stores that had been outfitted with The Cube. Another leading consumer appliance company launching a new brand in over 50 stores improved brand awareness with an interactive virtual reality game promotion that ran on The Cube. Many other organizations, such as museums and consumer products companies, have used the lightweight and easy-to-use Cube as the centerpiece of their travelling exhibits, special events and touring promotions. [Click here] for the Cube brochure. How Do You Use The Cube? The Cube is incredibly simple to use. You don't need a technician to install it and it requires no special configuration. 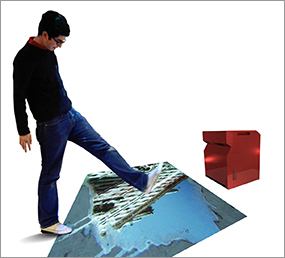 Just put The Cube on the floor or against a wall, and it instantly creates an engaging 7’ x 5’ interactive display that visitors can control with simple gestures. Use the content that comes with the system, make simple changes yourself with just the click of a mouse, or ask us for help with content customization. You can also retrieve user metrics and system information when the CUBE is linked to a server. GestureTek's award-winning, multi-patented video gesture control technology has been optimized and proven successful with customers over a solid 20 year history. Our vast and robust library of patents and technologies are available for license to developers and manufacturers of PCs, consoles and other electronics hardware, applications, appliances and peripherals.